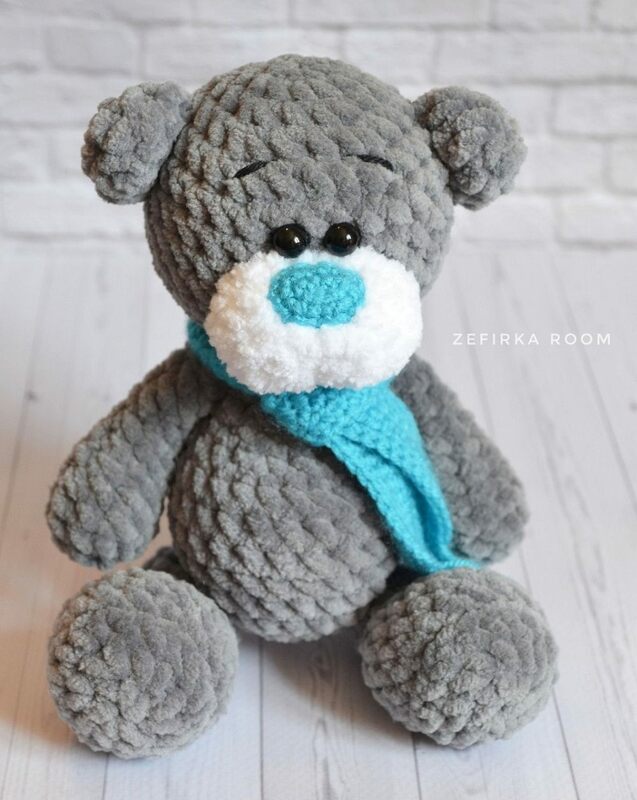 Crochet plush bear amigurumi by Olga Filippova. 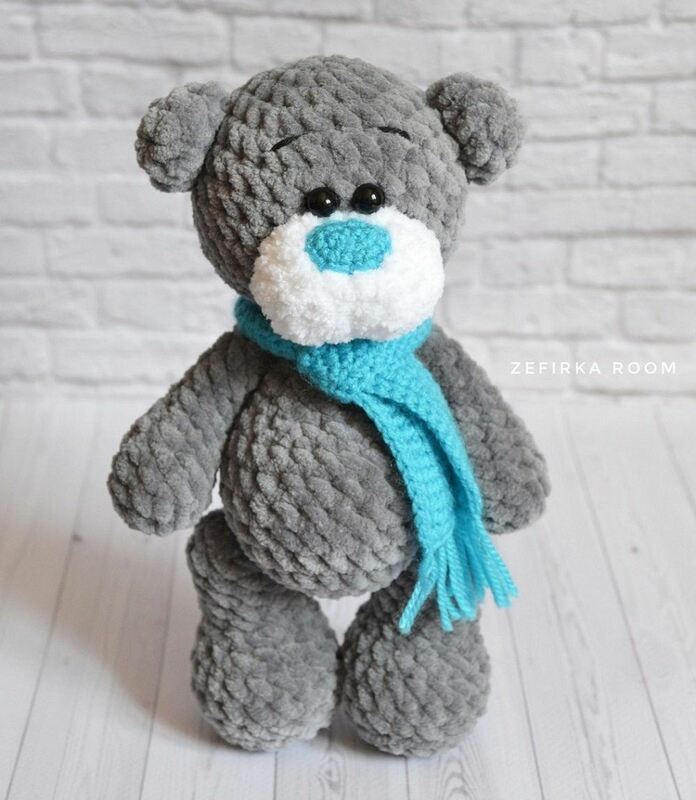 Free amigurumi bear pattern. 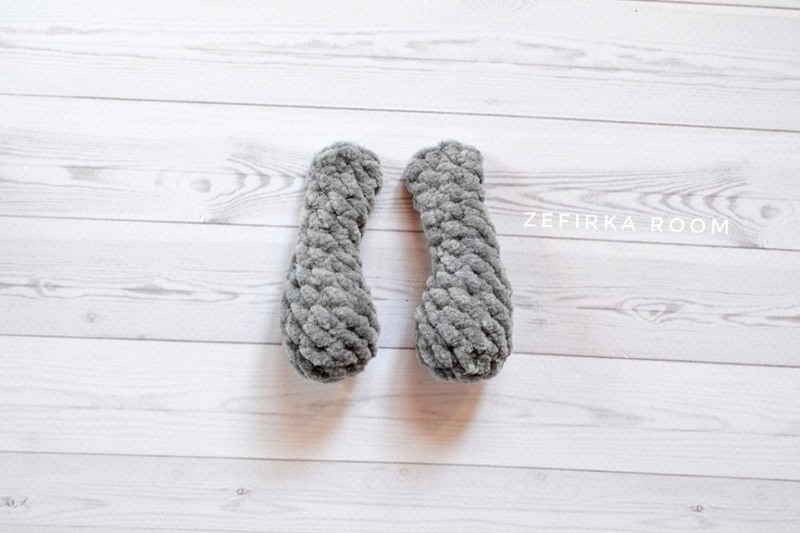 When publishing a photo of your work on the Internet, specify the designer – Olga Filippova. Stuff only bottom of the hands. Fold top of hand flat and sc through both sides across. F.o. Fold top of ear flat and sc through both sides across. F.o. 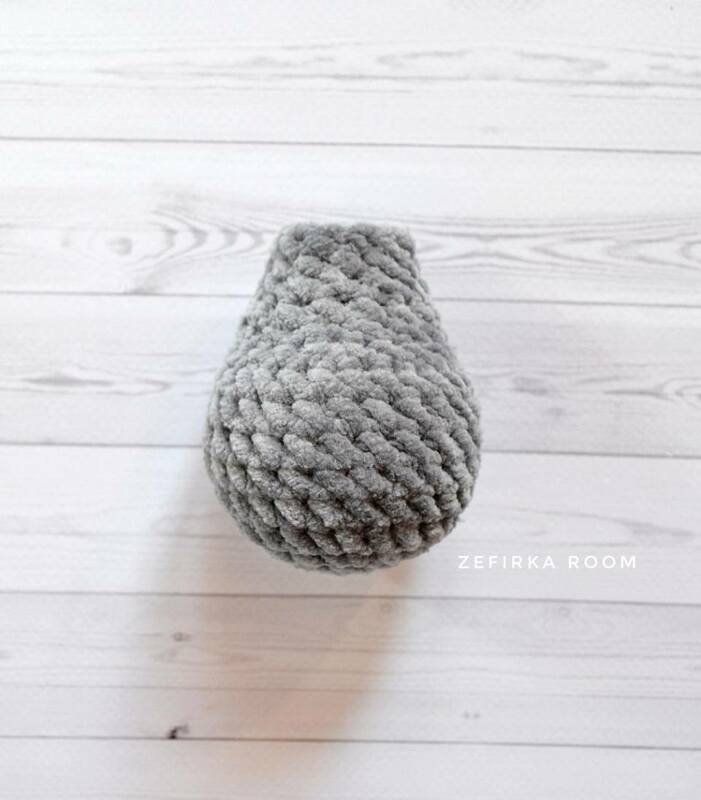 Yarn ALIZE baby Softy (with two strands of yarn), hook 3.00 mm. 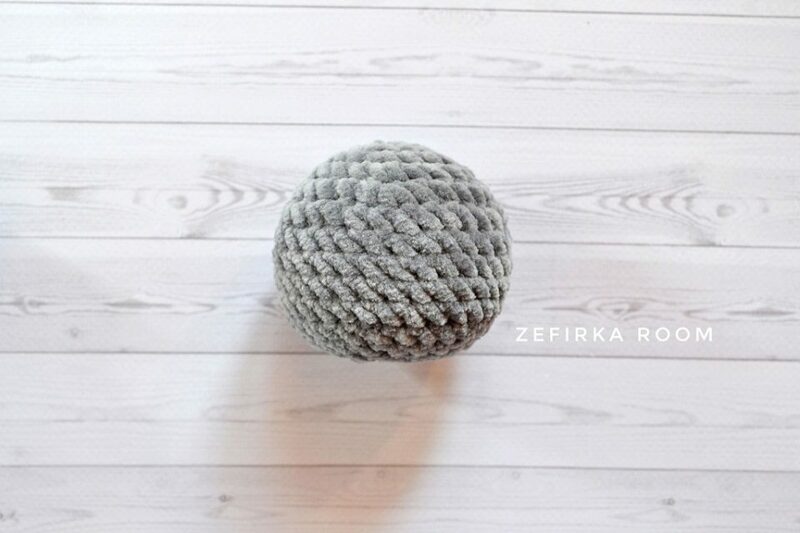 Make an oval starting from the 2nd ch from hook, work on both sides of the chain. F.o., leaving a long tail. R 1: dc or hdc in every st and continue to the end of row. Make sc around of the scarf. F.o. 1. Sew the head to the body. 2. Sew the muzzle to the head between Rnd 7 and Rnd 11. Put some stuffing inside the muzzle before you finish. 3. Make eyes indents at the level of Rnd 7-8, at the distance of 1 stitch from each other. 4. Sew ears to the head between Rnd 4-8. 5 Sew arms to the body of Rnd 14. 6. Sew legs to the body of Rnd 4. Hey. 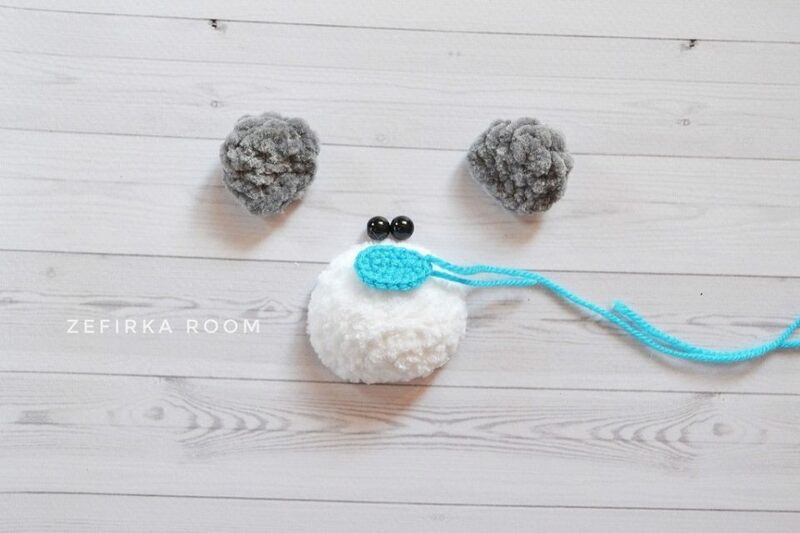 Im using this pattern to make a panda. I made the 1st arm and well, id like the end result be a bit bigger. 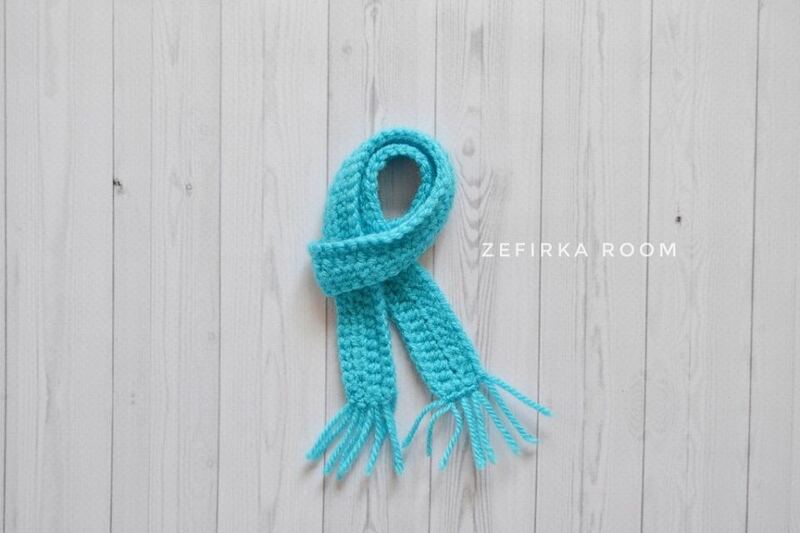 Im using bernat yarn and a 8mm crochet needle. How can i achieve my goal? 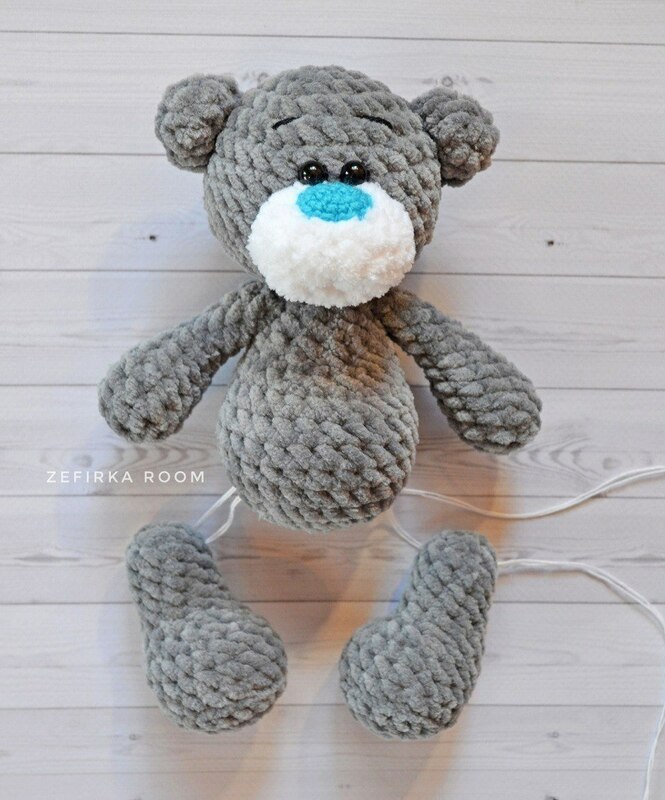 I really want to makevthis bear. He is so cute. I literally spent hours looking for a pattern that didnt look silly and i didnt have to pay for, lol. Which i was about do. Thank unin advance. Maybe try using a bigger hook like a 9mm. Maggs, you can find in Google a converter HTML to PDF online. It seems like the instructions for the ears are missing a rnd? Am I wrong? They look a little unfinished to me. Debbie, it is three rows for ear: R 1: 6 sc in mc (6), R 2: (1 sc, inc)*3 (9), R 3: 9 sc. Thank you for replying so quickly!!! Just finished this guy today. I’m giving him to a friend who’s having a baby this April! Thanks again!